In the summer, its probably Leinenkugel’s Honey Weiss with a lemon slice or Leinenkugel’s Sunset Wheat with an orange slice. Right now, I’m particularly fond of Dogfish Head’s 60 minute IPA and have been buying a six pack whenever I see them. 2 very nice choices. BTY, they carry the 60 minute IPA at the Hannafords in Bedford. One of my favorite topics this winter has been sampling IPA’s and PA’s. I would say my top five favorites IPA’s are Stone Ruination, Wachusett Green Monsta, Lagunitas IPA, Southern Tier IPA, and Long Trail IPA. I’ll agree with the Long Trail and Wachusett. I also eagerly anticipate the fall every year for Shipyard’s Pumpkinhead. There are a few pumpkin beers out there, but this one seems to have just the right balance of spices and hops. Kelly speaks the truth re: Shipyard. ST’s Pumking is amazing but Shipyard definitely takes the cake for most drinkable pumpkin beer. My favorite beer is three floyds gumball head, but for beers I can get around here, Pretty Things – Jack Dor’, Allagash white, Shipyard Pumpkin head, and Sierra Nevada’s Celebration ale. That’s pretty much in, spring, summer, fall, winter order. I spent many a night when living in Germany as a student drinking fine beers that were less expensive to buy than water (oh how I miss those days). My favorite of the lot was Franziskaner Dunkelweiss (Dark wheat) beer– very smooth. You can find it in the US. Great fall/winter beer. My favorite summer beer is Blue Moon Belgian Wheat- very tasty with some orange wedges. One of my favorite enjoyments of a beer is when eating sushi– Kirin Ichiban absolutely brings out the flavor of sushi and stands as a descent pilsner in it’s own right. 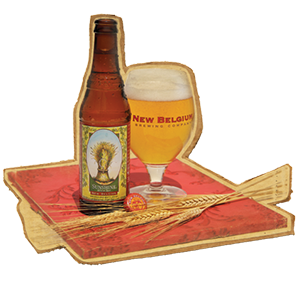 Hey Mike – You know I love New Belgium and wish they’d distribute to the Northeast, but I’ve found some pretty good alternatives. In the amber category, I love Anderson Valley Brewing’s Boont Amber. Try it and you’ll soon forget all about NB. Another amber that’s just out right now (it’s seasonal) is Troegs Nugget Nectar. 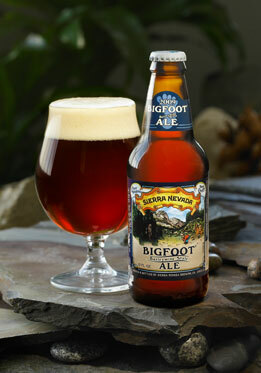 It’s an “imperial amber” and is chock full of hops, so if you can find it give it a try. It’ll be gone from shelves soon. I love a good imperial IPA and based on a taste test we did the other night, Wachusett’s Larry is a good local version of the style. Russian River’s Pliny the Elder is the gold standard DIPA (but you can’t get it here) and The Alchemist’s Heady Topper is a very close 2nd in my book, but they don’t currently offer it “to go” from their Waterbury, VT brew pub. I say “currently”, because they’re building a brewery/cannery to focus exclusively on HT, so you should be able to get it to go at some point this summer. There’s another DIPA called Ghandi Bot from New England Brewing that’s just starting to make it to MA. Keep an eye out for it… it’ll come and go before you know it. The other beer I love is a good stout. Founders Breakfast Stout is outstanding, as is Oskar Blues Ten Fidy. They pour a deep, dense chewy black and they also have intense coffee, chocolate and smoke flavors. One of my first craft beers was Sam Adams Boston Lager and I had the chance to have a pint a few weeks ago. I loved it. I think I’ve gravitated away from Sam Adams since it’s so readily available and I’ve been trying so many beers from around the world, but it’s worth giving another try. It’s a solid, well made beer that satisfies year round. Like Mark and Jim I’m on a total DIPA kick – the Wachusett Larry is great – really bright and fresh. The Dogfish 90 minute is my go-to in local bars where it’s hard to a great DIPA. In the Summer I love Cisco’s Whale’s Tale Pale Ale – it’s light and fresh and comes in bottles (and cans now!) so it’s the perfect beer to take to the beach or a bbq. I’ve also started a recent love affair wild ales. Cisco has a seasonal cask-aged called Cherry Woods (ale aged in oak casks with cherries) and Russian River makes an amazing one called Supplication (which is brown ale aged pinot noir casks, also with cherries, and is impossible to find in NE.) These are definitely NOT session beers, they are sour, and complex, but great if you’re looking for a glass or two of something amazing. Both breweries, and many other, offer many cask-aged options, so I’m looking forward to trying more. Good post & great topic! During the spring/summer I love some of Berkshire Brewing Co’s beers to the point where I’ve had them all on tap at some point. Their Berkshire Ale is a basic but good option for a medium beer (6.3% ABV) and the Steel Rail Pale Ale is one of my favorite light beers (still 5.3% ABV). After a long ride on the bike with some friends it’s awesome to crash on the deck with one of these beers. In the fall I always defer to my potentially favorite beer – Smuttynose’s Old Brown Dog. As the weather gets cold the beer seems to be the perfect switch of beer seasons. It’s one of the most underrated beers in my opinion. Really well balanced, beautiful color, and pure awesomeness. In the winter, I’m all about stouts. They’re my favorite style of beer but the selection is definitely best in winter for obvious reasons. Founder’s Breakfast Stout, Sam Smith’s Oatmeal Stout, Southern Tier’s Choklat, and BBC’s Coffeehouse Porter become my key targets of acquisition. Finally, to Storer’s point, Sam Adams Lager is a solid year-rounder. This is my default go-to at restaurants if there’s no craft beers on the menu (or do I need to say *other* craft beers now?). Awesome list of beers throughout this page, though. It’s usually tough to go wrong with trying any new beer. Hard to chose just 4 favorites. These are reliable, drinkable beers that I look forward to each year. Maybe not my overall favorites but something I find myself coming back to year after year! This post is making me thirsty. In the spring/summer, its magic hat #9, leinenkugel sunset wheat, bass pale ale, pacifico clara. For fall/winter, its shipyard pumpkinhead, guiness, kona pipeline porter, harpoon winter warmer. Also whenever I’m out, I’ll have a stout. Good suggestions in the comments on some stouts to try. Green Rock Light, Blue Moon, Breckenridge as well as a local brew called Spring Wheat. Usually I will make myself a homemade margarita or have a little bit of wine. Ok, I have to post an update. I had Stone’s Ruination IPA on tap at the Gingerman in Austin Texas while I was at SXSW. This needs to be added to my initial post, as it is an incredible IPA!